Two men who caused £72,000 worth of damage to railway stations across West Sussex have been sentenced after they bragged about what they were doing on Instagram. Adam Norman, aged 27, of Ashdown Road, Worthing, and Dovydas Butkus, aged 20, of Harlech Close, Durrington, West Sussex, have now been sentenced for their crime after pleading guilty at Lewes Crown Court to conspiracy to destroy / damage property of a value of approximately £72,000. The conspiracy charge compiled 13 different offences across West Sussex area where Norman and Butkus had caused around £72,000 worth of damage in total. Their offending went as far north as Horsham and also included damage to trains and infrastructure at Barnham, Haywards Heath and Lancing. 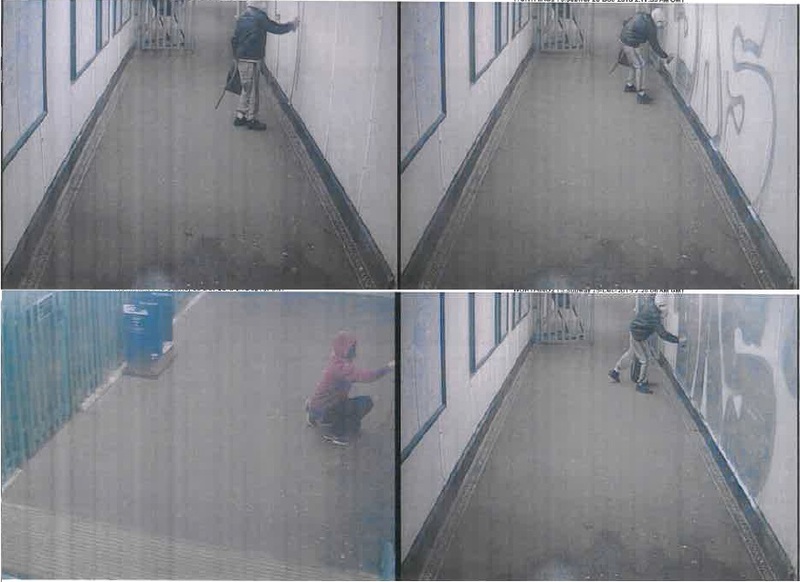 On Christmas Day 2015, between 2am and 3am, they caused criminal damage of graffiti to Worthing station subway. PC Paul Burtoft and PC Alan Jenner of British Transport Police Brighton set up Operation Jargon in October 2015 in an attempt to erase the offending from the network and after seven months of investigation arrested both Norman and Butkus at their respective homes in morning raids. During the raids over 60 items were recovered that tied the pair to the offences. Norman and Butkus were further linked to the offences by Instagram accounts that had been used to publish and brag about their offending. They pleaded guilty at Lews Crown Court on 1 November 2016 and at the same court on Friday (2/12) they were each sentenced to 12 months’ imprisonment suspended for two years. Norman was ordered to undertake 100 hours of community service and Butkus was ordered to undertake 80 hours of community service. In addition, they were both given a £1200 fine and ordered to pay a £100 surcharge, and handed a six month curfew which means they may not leave their homes between 8.30pm and 5am. Destruction of all spray cans and associated equipment was ordered. PC Burtoft said: “We hope that this conviction will deter anyone who is thinking of committing criminal damage on the rail network in Sussex from doing so. Graffiti can cause tens of thousands of pounds worth of damage, putting trains out of service and impacting on rail passengers in terms of delays and disruption to their journey because trains are out of use, and costing rail companies and ultimately passengers money. “There is also a real risk to life of those committing the offences, freight trains run throughout and the danger of being hit by one is real along with the risk of electrocution from electrified rails. “We hope that Norman and Butkus learn from their conviction and find a better way to spend Christmas this year. With the 180 hours of community service they have been sentenced to, perhaps they will spend the day helping others and giving something back to their local community this Christmas instead of causing misery and destruction."